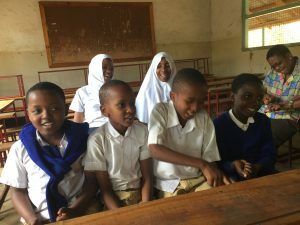 African Initiatives’ Fundraising Officer Henna Cheema recently travelled to Tanzania to see first-hand how our work is changing lives. 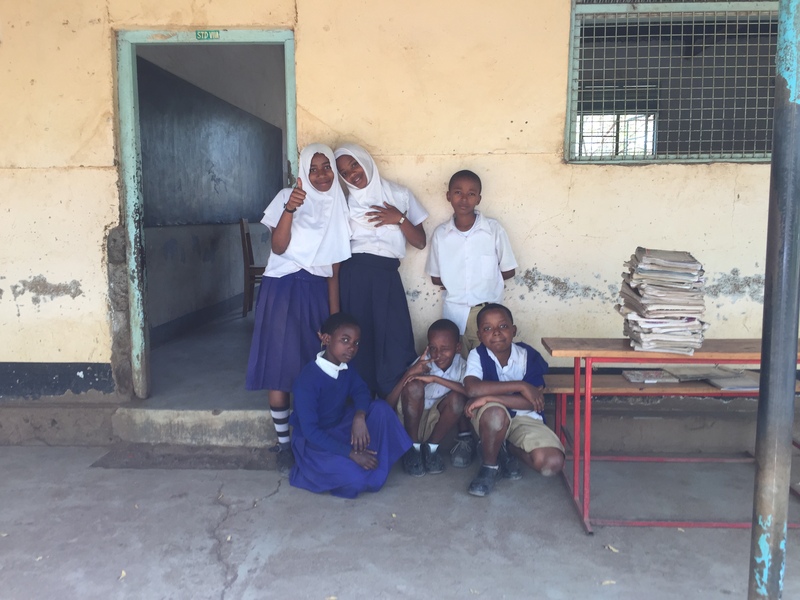 Here she shares her experience of meeting the children and teachers taking part in the AIDS-free Generation Project, which began in January. 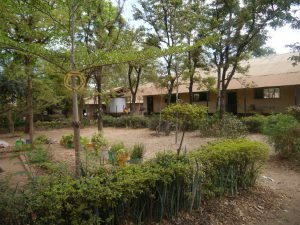 Pasua Primary school is situated in Moshi, which sits at the foot of Mount Kilimanjaro, providing a breath-taking backdrop of the mountain they call the ‘roof of Africa’. As I enter a hot and dusty classroom, I see five students, between the ages of 7 and 10 years old, sitting in blue and white uniforms and staring wide-eyed at me. Dafrosa, the Executive Director of our partner organisation the Tanzania Women Research Foundation (TAWREF) explains who I am in Swahili and they smile at me. Slowly they warm to me and we chat about school, their favourite subjects and what they hope to achieve in the future. The school clubs rely on the passion and cooperation of teachers. The two I meet are inspiring and make me instantly hopeful about the clubs’ potential legacy. Mr. Cheboi tells me that for him, awareness is the crucial weapon for combating the AIDS epidemic. TAWREF provide free HIV testing and treatment for children, supporting those who test positive through trauma counselling, alongside their treatment. School Clubs create a space to discuss HIV /AIDS openly without taboos, to dispel myths and to teach children how to avoid HIV and other STDs. The pupils tell me they are very keen to share this knowledge with younger children, friends and others. Mr. Cheboi explains that this is an important aspect of the school clubs.“If we can spread knowledge at a young age and support children who may be affected through early intervention these children can be advocates for the next generation” he says. There are many persistent myths surrounding HIV and AIDS, including one that HIV cannot be passed to children. This is sadly not true. I am struck by the children’s’ maturity and awareness of what they call ‘risky behaviour’. One girl says “some children do not have food at home so they risk themselves to get food” another pupil says “Some are cheated by money or a lift and in accepting the gift they are violated”. Another student continues “poverty makes some of the children to sell themselves and some are orphans; they have lost both parents so they end up selling themselves to get food”. Although I was grateful that they trusted me enough to speak honestly, I was not prepared for what these young children told me, nor the matter-of-fact way that they did. Imagine having to sell yourself at the age of 7 years old in order to eat. It is unthinkable to me, but a common reality for those I spoke to and it gives them a shocking awareness beyond their years. Before I leave, as if to remind me again that they are still children, they launch into what sounds like the Swahili version of Old McDonald. I join in with the animal noises where I can, to everyone’s amusement. 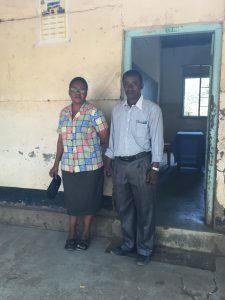 The AIDS-free Generation Project is funded up until December 2018, increasing rates of detection and treatment among primary age children, reducing rates of infection through knowledge sharing and engaging schools, teachers and the wider community in taking more responsibility for child protection with regards to HIV infection.